Helmuth Rilling has recorded numerous large oratorios in the past decades, always working with outstanding singers - often long before they became known internationally. Christine Schäfer, who participates in this performance, is such a case. As in most all of his interpretations Helmuth Rilling here performs with the Gächinger Kantorei and the Bach-Collegium, ensembles which are well acquainted with his musical vision. Rilling's oratorio recordings have not lacked the authority of being an essential reference, that's why they have been reissued in the highly qualitative series of "Great Vocal Works". 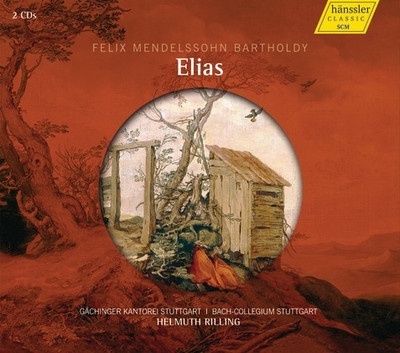 The German music journal Fono Forum said of Rilling's "Elias": "Helmuth Rilling realizes the stylistic span of the choirs from an ascetic a cappella to an impressionistic coloration, an almost Brahmsian Sentiment, and even up to a dramatic intensity. The orchestra is their equal. High-caliber soloists are thoroughly convincing." What more could one want? High-class singers, an outstanding choir and a top-notch orchestra, under the experienced leadership of Helmuth Rilling.